On sale! 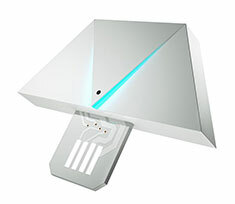 (normally $79) Transform music into light with the Nanoleaf Rhythm. Plug it in, turn it on, and embark on a sensory adventure personalised just for you. The Nanoleaf Rhythm Module simply plugs into any of the Nanoleaf light panels and syncs the panels with sound in real-time. With three control options, using the app, your voice or the physical button, the Rhythm offers easy convenient control. Experience your favourite songs like never before or create your own Rhythm Scenes and show off your creativity to the world with this great add-on to your Starter Kit.